Thank you for your postcard jade. No we dont have a cat. Have a happy day. Hello Pip. Thank you for the reply. I am six years old. I love drawing. 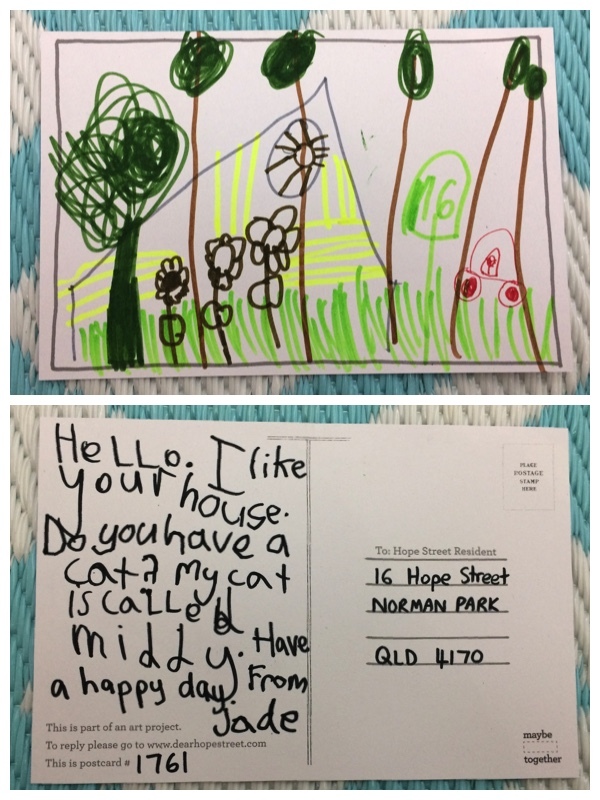 I am very excited that you got my postcard. I just lost a tooth and the tooth fairy gave me $3. I bought some notebooks to write and draw in. I love the design of your house as well. I hope you have a happy day. Maybe you have fairies in your garden. From Jade.